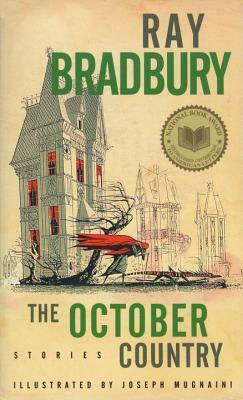 The October Country is Ray Bradbury’s own netherworld of the soul, inhabited by the horrors and demons that lurk within all of us. Renowned for his multi-million-copy bestseller, Fahrenheit 451, and hailed by Harper’s magazine as “the finest living writer of fantastic fiction,” Ray Bradbury proves here that he is America’s master of the short story. The Emissary: The faithful dog was the sick boy’s only connection with the world outside—and beyond . . . The Small Assassin: A fine, healthy baby boy was the new mother’s dream come true—or her worst nightmare . . . The Scythe: Just when his luck had run out, Drew Erickson inherited a farm from a stranger; and with the bequest came deadly responsibilities . . . The Jar: A chilling story that combines love, death . . . and a matter of identity in a bottle of fear. The Wonderful Death of Dudley Stone: A most remarkable case of murder—the deceased was delighted . . .
Plus fourteen more unforgettable tales! Ray Bradbury (1920–2012) was America's foremost writer of science fiction and fantasy. Among his most popular adult books were Fahrenheit 451, The Martian Chronicles, The Illustrated Man, Dandelion Wine, and Death Is a Lonely Business. In addition, he wrote several books for children, including Switch on the Night. In recognition of his stature in the world of literature, Bradbury was awarded the National Book Foundation's 2000 Medal for Distinguished Contribution to American Letters and the National Medal of Arts in 2004.